Every business wants to be on social media. The possibilities are just too enticing not to have a presence on Facebook and Twitter, as the majority of U.S. adults now have a social media profile and marketing can be entirely free. At the same time, simply being on social media and succeeding in social media marketing are two distinct concepts. Success requires commitment and a strategic approach that too many businesses who first enter this environment lack. 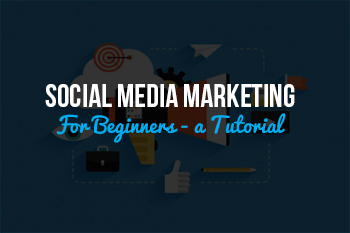 So we’d like to help with this social media marketing tutorial. Social media marketing, as any of its more traditional counterparts, relies first and foremost on an accurate understanding of your audience. Who exactly comprises your target audience, and where do they spend their time? If you cannot answer that question, you may end up on a social media network like Facebook simply because you understand it best, even though your audience spends their time on Pinterest or Instagram. The worst possible strategy for businesses is to set up a page and forget about it. Successful social media marketing takes time every day and week, as it requires regular content that not only promotes your business, but is also interesting and engaging enough to give your audience a reason to follow your account. Simply pushing sales or new products will not entice your audience to follow you. Giving them relevant information that actually helps them, on the other hand, will. Speaking of content: if you begin your social media marketing journey, it’s important to never, ever forget about the "social" part in social media. After all, we’re talking about the medium that has effectively democratized the internet, allowing even the most random users to exert power over large corporations with a single negative review or post. For your business, that means engaging with your audience – both when they’re positive and when they’re negative. Social media is ideal to leverage positive comments and word-of-mouth, letting other potential customers know you’re appreciated by your current audience. At the same time, addressing negative comments in a timely and friendly manner not only puts out fires, it can also turn your harshest critics into your fiercest advocates as they become impressed by your responsiveness. 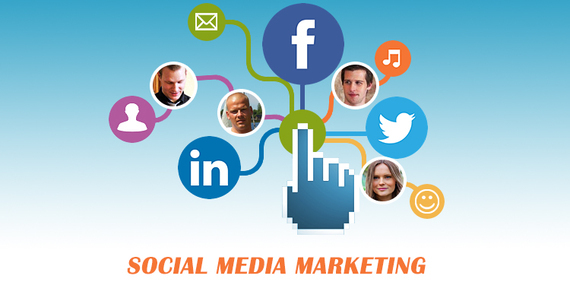 Of course, social media marketing is more complex than can be explained in a single blog post. But focusing on these three points should ensure a great start on the medium. For anything beyond that, contact us!